Louise Jackson, a native of North Charleston, SC graduated from Hampton University, Hampton, VA with a Bachelor of Science degree in Speech Pathology and Audiology. She attended graduate school at the University of Georgia and graduated with a Master of Arts degree in Speech Pathology from South Carolina State University. 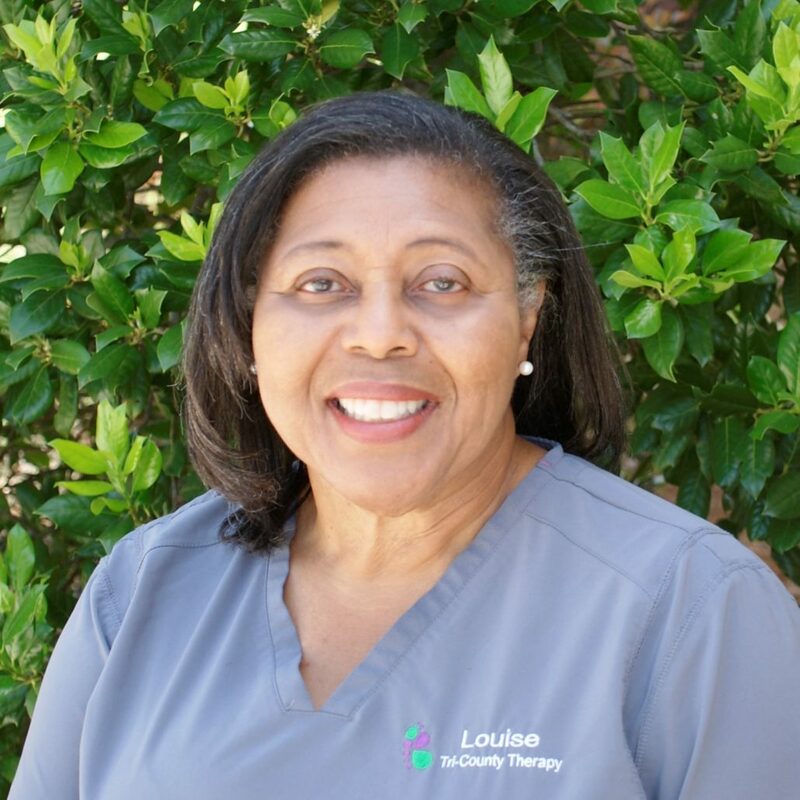 Prior to joining Tri-County Therapy, Louise provided speech-language therapy services to public school students. She also has experience in home health with adult and pediatric clients. Louise’s previous experience includes treatment of language disorders, articulation/phonological disorders, fluency [stuttering] disorders, and Autism Spectrum Disorders. Louise is an advocate for individuals with communication disorders. She believes early intervention is critical for children identified with communication deficits. Louise is active in her church and community. Louise completed Krisi Brackett’s CAN EAT course, which provides a medical, motor, behavioral approach to feeding disorders in children. Her spare time is spent with family and playing her piano, flute, and violin. She enjoys sewing and reading.